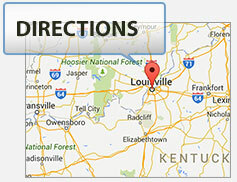 Kentucky Landlord Tenants laws limit personal injury lawsuits against landlords. In Kentucky, a landlord is “not a guarantor of the tenants’ safety.” See Davis v. Coleman Management Co., Ky.App., 765 S.W.2d 37 (1989). However, a landlord owes a duty to his tenants to exercise reasonable diligence to keep common areas retained under the landlords control in a safe condition for the tenants. See Davis v. Coleman Management Co., Ky. App., 765 S.W.2d 37, 38 (1989). “A possessor of land who leases a part thereof and retains in his control any other part which the lessee is entitled to use as appurtenant to the part leased to him, is subject to liability to his lessee and others lawfully upon the land with the consent of the lessee or a sublease for physical harm caused by a dangerous condition upon that part of the land retained in the lessor’s control, if the lessor by the exercise of reasonable care could have discovered the condition and the unreasonable risk involved therein and could have made the condition safe.” See Restatement (Second) of Torts, Section 360 (1965). Only when the tenant is put in complete and unrestricted possession and control of the premises, will the landlord not be liable for known defects which existed at the time the tenant leased the premises. See May v. Moore, 2008 WL 2152274 (Ky. App. ), citing Carver v. Howard, Ky., 280 S.W.2d 708, 711 (1955). In Kentucky, people have slip & fall and trip & fall accidents in store everyday due to the negligence of store owners and store employees. These type of accidents and injuries are often avoidable if only the stores took proper precautions. These types of cases fall under Kentucky premises liability laws. (iii) because of the substance or object, the business was not in a reasonably safe condition for the person or customer who slipped or fell. 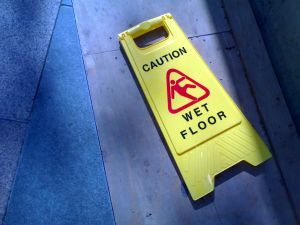 Kentucky businesses have a duty to check the store premises for hazardous conditions, including spilled liquids and other slipper substances and clean such up or correct such before it causes a person to be injured. A substance that could create an unsafe condition could be food, water, or some other fluid on the floor, including substances that have leaked out of products on the shelves. An object that could create an unsafe condition could be a product or part thereof on the floor, a problem or defect with the floor itself, a loose or broken step, a hole, or a loose or broken handrail. These examples are not all encompassing, as many other substances or hazardous conditions may qualify. When a person slips and/or falls due to an unsafe condition in a store, they have a right to be compensated for the injuries, the pain & suffering, lost wages, and medical bills, that result from such.